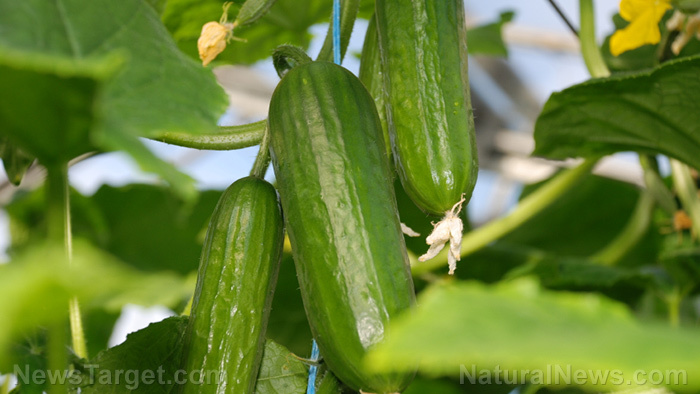 (Natural News) An Italian study investigated the anti-inflammatory properties of cucumber (Cucumis sativus) on vascular endothelial cells that line the inner side of blood vessels. It concluded that cucumber-derived extracts could protect the endothelium’s vulnerable cells against the inflammation caused by lipopolysaccharides. The study was supported by the University of Bologna. Its findings were published in the journal BMC Complementary and Alternative Medicine. Researchers prepared cultures of aortic endothelial cells drawn from pigs, which are used as a substitute for human endothelial cells. These cells were exposed to pro-inflammatory lipopolysaccharides and increasing doses of cucumber-based water/ethanol extract. The treated cultures were evaluated for cell viability, the gene expression of endothelial cell markers, the amount of cytokines released by the cells, and the in vitro formation of new blood vessels from existing ones (angiogenesis). The cucumber extract was shown to reduce the toxic effect of lipopolysaccharides on endothelial cells. It also reduced cellular detachment from the endothelium and improved the expression of the protein tight junction zona occludens-1. The extract increased the activity of Hemeoxygenase (HO)-1, a protective gene that counters the effect of the lipopolysaccharide-activated TLR4 gene. It also prevented the early and late secretion of several inflammation-causing chemicals. Furthermore, all doses (0.02, 0.2, and 2 milligrams/milliliter) of the cucumber extract are able to mitigate the release of anti-inflammatories and prevented angiogenesis caused by lipopolysaccharides. The researchers concluded that cucumber can attenuate the inflammatory effects of lipopolysaccharides in the endothelial cells of pigs, making it a potential means of naturally protecting the vascular endothelium. The full study can be viewed at this link. You can find other articles about healing plants at NaturalMedicine.news.